Our Screen Printed Pool Menus are ridged enough to stand up and light enough to float. If you want a quality menu that will not fade outdoors and will not be hurt by chlorine pool water, our screen printed menus are your best value. 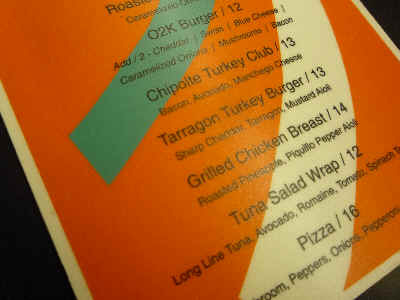 Plastic Pool Menus are screen printed with bright spot colors or four color process. They are made of .055" opaque white polyethylene and laminated with 3M non-glare overlaminate (shown below). They have rounded corners and come any size. They can be die cut any shape and have the look and feel of quality. Don't be suprised if customers take them home.